ePublishing Knowledge BaseePublishing Knowledge BaseePublishing Knowledge Base EditorialHow do I unpublish an existing editorial content block? This article will show you how to unpublish an existing editorial content area. For example, if you no longer want a section on your front page to be visible - you were using it as a temporary promotional area for an event, for example - you may want to hide it. To do that, you just need to unpublish the editorial content area. The status of most editorial content areas should remain as they are, however. If you have questions about how editing an existing editorial content area will affect your website, please contact your solutions manager. 3. 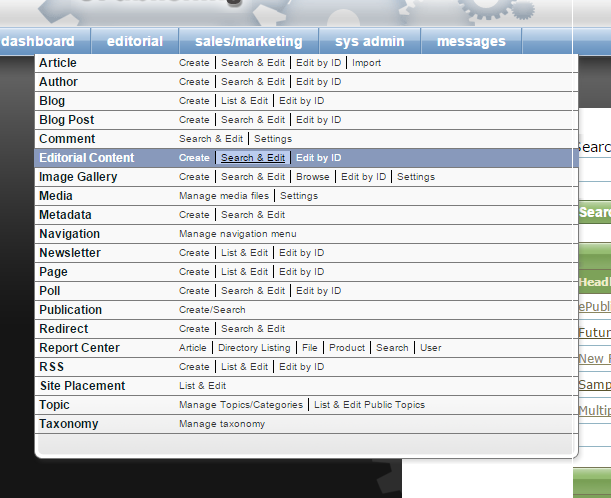 Select the editorial content area you'd like to edit by clicking on the Internal Name. Zoom: Select the editorial content area you'd like to edit by clicking on the Internal Name. For example, if you no longer wanted the Free Web Tips Newsletter sign-up to be visible, click on the name. 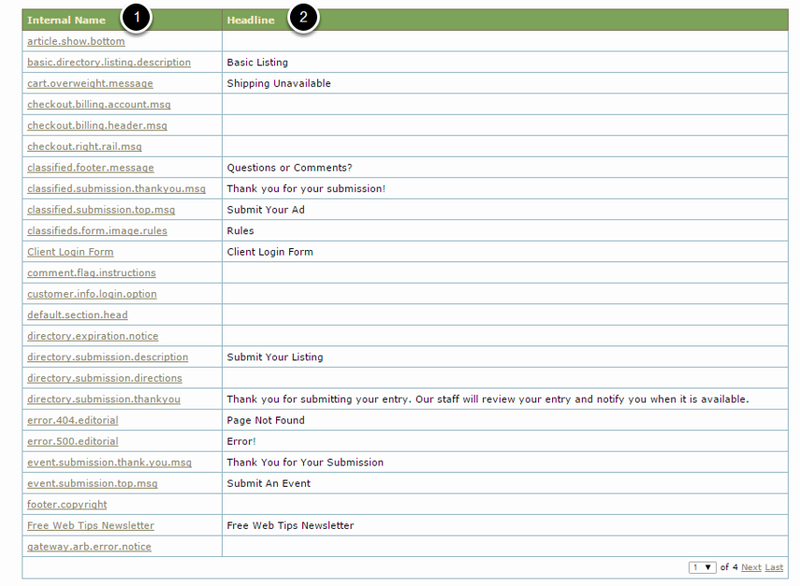 A yellow box will appear to confirm the editorial content area has successfully been unpublished. Prev: How do I delete an author? Next: How do I place an article or blog post in a featured position?